James Dobchek, a fugitive from a manslaughter charge returns home to a foggy California beach town hoping to protect his sister Olivia from Maurice, her estranged husband, a mob-connected gambler. James enlists the help of his closest old friend, Greg Mairs, now a devoted Christian family man and Sunday school teacher. After exploring all options, they decide the only sure way to protect Olivia is to kill the gambler. 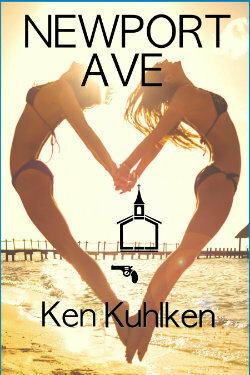 Newport Ave, a gripping novel in the noir tradition, explores crime and its endless consequences.